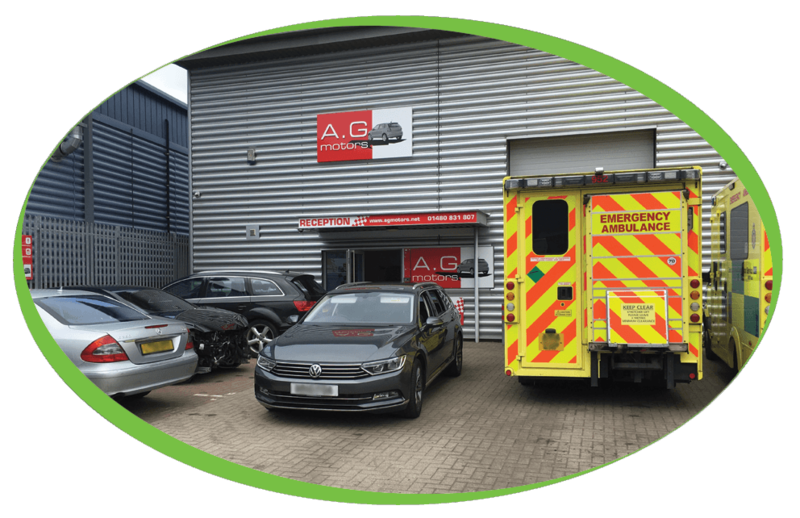 A.G Motors pride themselves on being an honest down to earth establishment, where you can expect a high level of quality and care in everything we do. 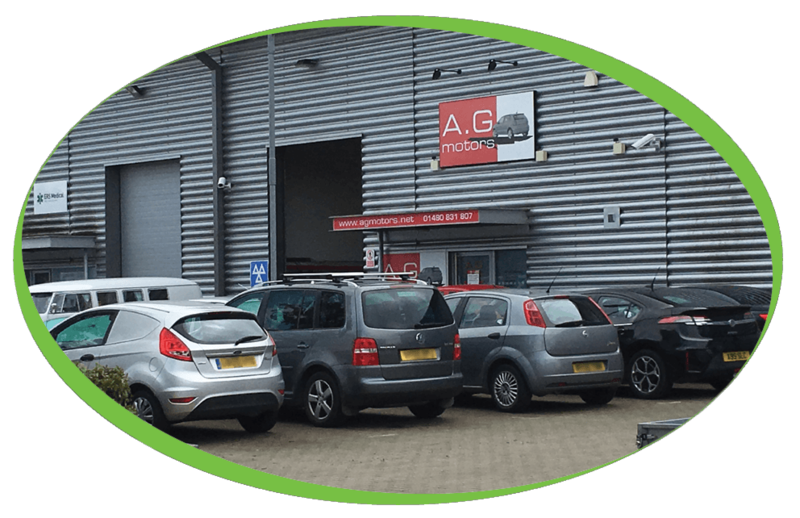 Customer care and automotive excellence are at the heart of our core values. 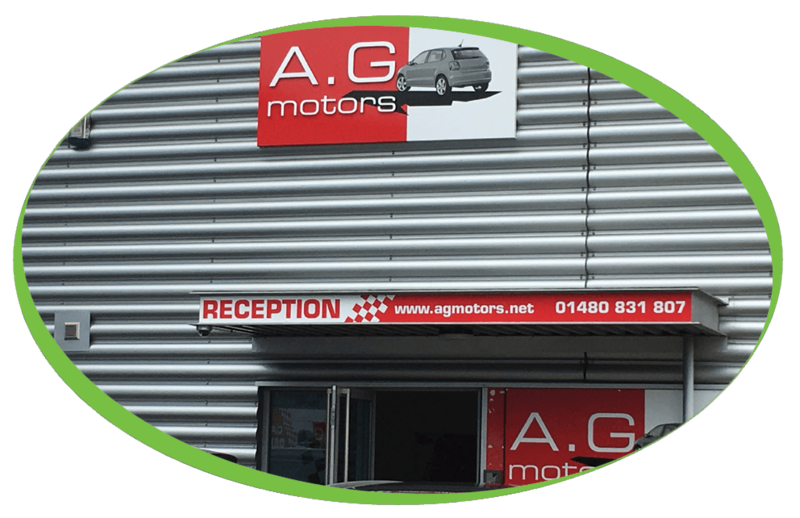 A.G Motors have decided to purchase one of our Refurbished Bravilor Esprecious. 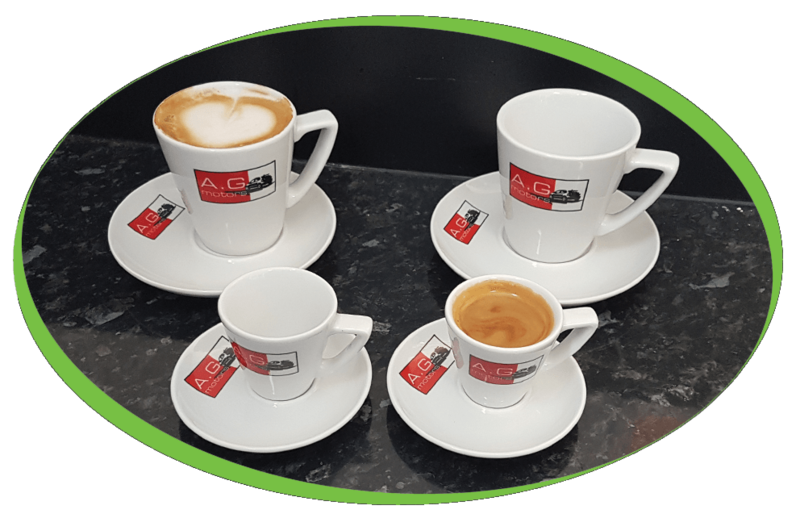 The Bravilor Esprecious makes its espresso with freshly ground coffee beans and a beautiful crème layer. 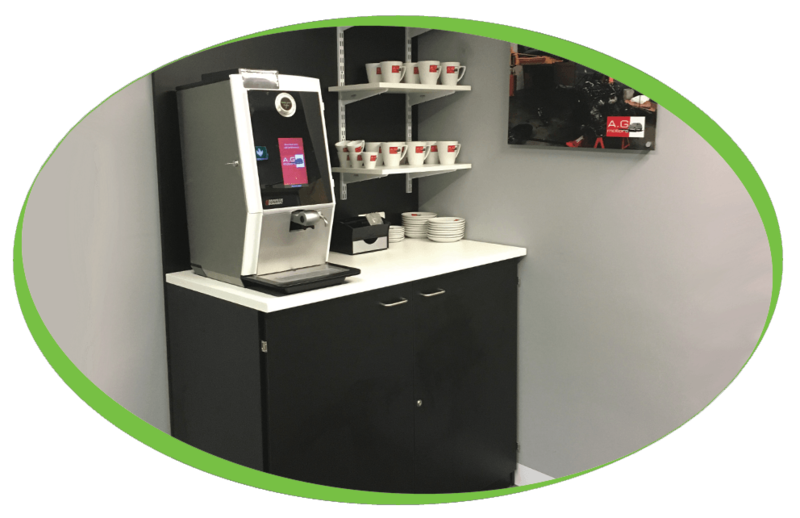 Additionally, it offers other coffee specialties such as cappuccino and latte macchiato. 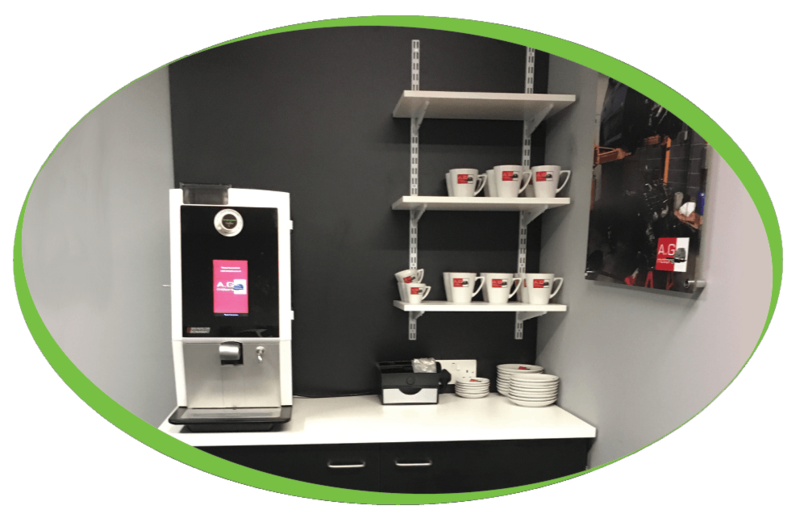 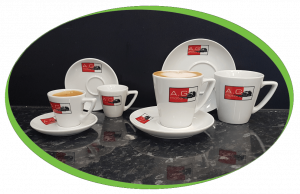 To add a more bespoke touch to their products, A.G Motors have purchased their own branded cups and saucers, they have also added their logo onto the Coffee Machine. 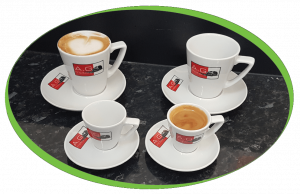 A.G. Motors are using our Caffe Espresso Gourmet Beans, 100% Skimmed Milk & Simply Dutch Chocolate in their machine, the machine is kept clean using our cleaning tablets and also has a Brita water filter fitted to help protect the machine from scale.